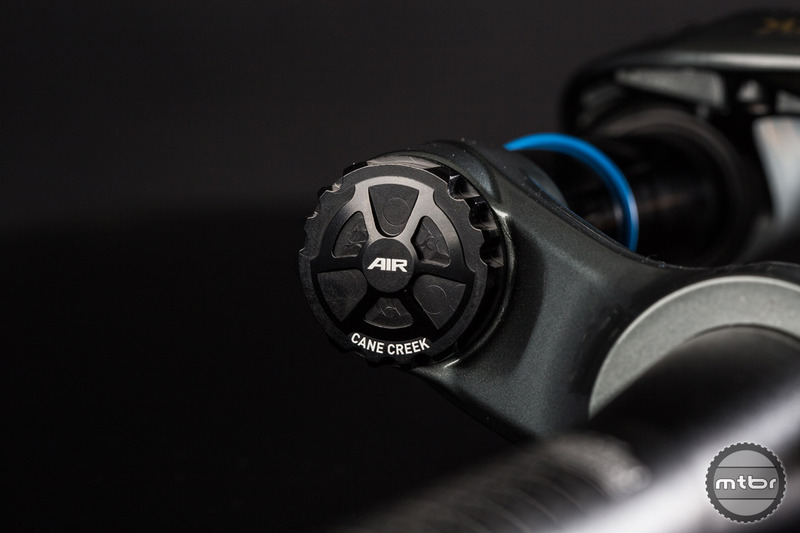 Cane Creek HELM boasts independently adjustable positive and negative air chambers (air sprung version only). 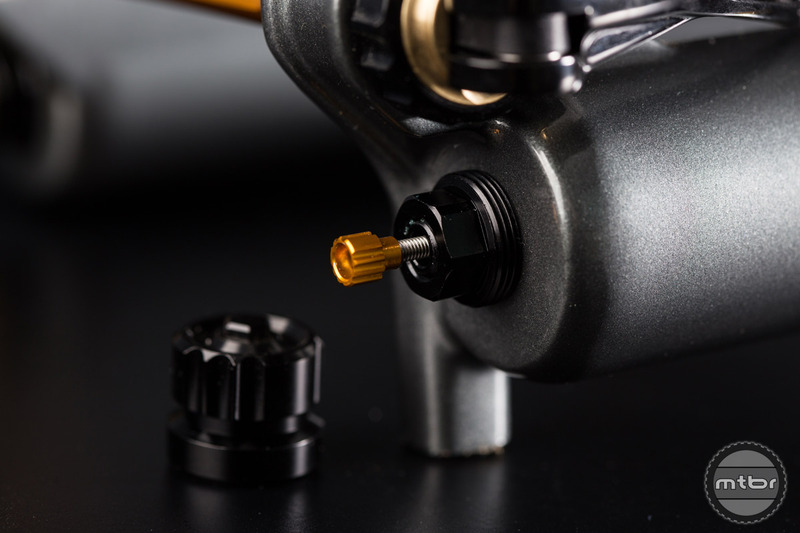 The HELM 29/27.5+ is available in both air and coil sprung versions with up to 160mm of travel – the coil version being easily adjustable from 130mm to 160mm and the air version from 100mm to 160mm. Both versions come in a gunmetal grey colorway with black and gold graphics. 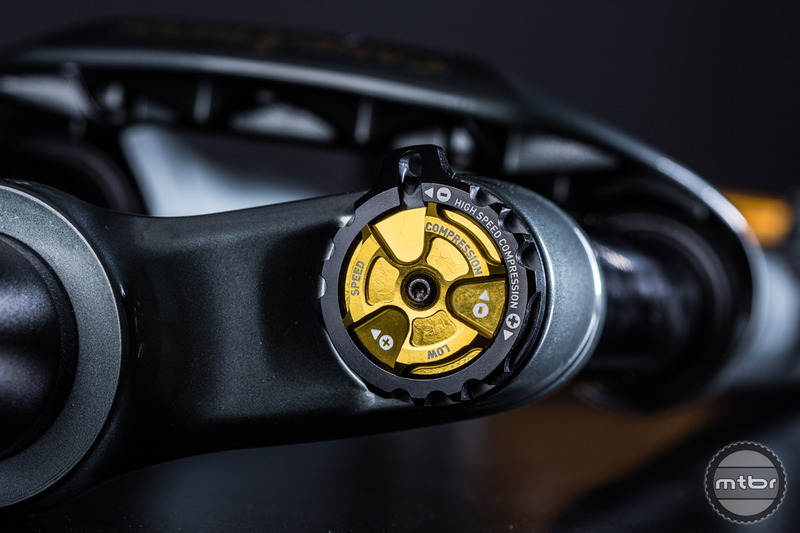 The HELM has compression control with 7-way adjustability, 10 positions of high speed compression, 20 positions of low speed compression, 15 positions of low speed rebound, 9 positions volume reduction, and internal travel adjustment. Each HELM fork is assembled by hand in Cane Creek’s Asheville North Carolina factory and tested three times before it leaves the facility. 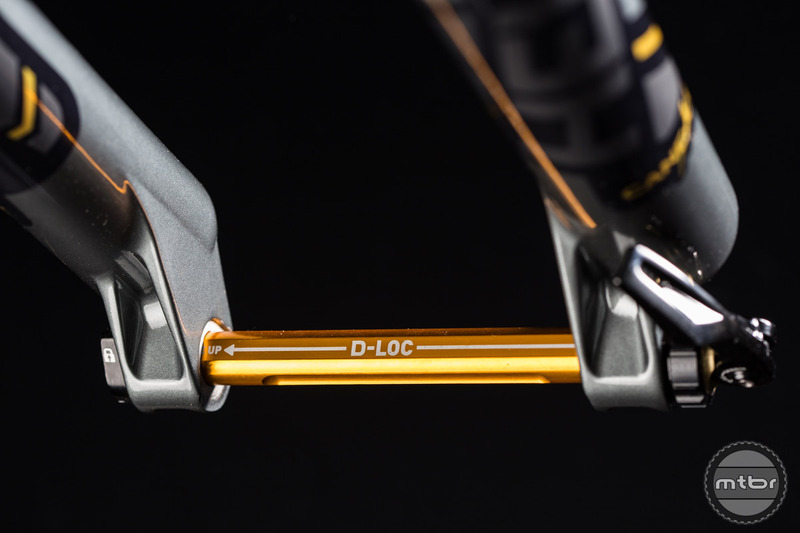 The HELM 29/27.5+ maintains all of the same functional characteristics of the original 27.5 fork. This includes a closed cartridge monotube damper, seven-way adjustability and rider adjustable travel, with the addition of a 51mm offset and dimensionally adjusted lowers to accommodate the larger wheel and tire size. The addition of a 51mm offset and dimensionally adjusted lowers accommodate larger wheels and tire size. Retail price is $1100 in both air and coil sprung versions. Available for purchase beginning in April through Cane Creek retailers and distributors as well as factory direct at www.canecreek.com. Shimano - New XTR, Carbon 29er Wheels and more!